Chris Woakes credited the big-game mentality of Ben Stokes after the returning all-rounder took a sharp catch to dismiss Virat Kohli on the opening day of the third Test against India. 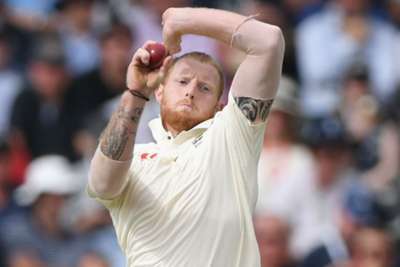 Stokes, a key figure in England's victory in the first Test, missed the second match as he was found not guilty of affray by a court in Bristol following his arrest in the city last year, an incident that caused him to miss the Ashes. The 27-year-old was wicketless from 15 overs bowled at Trent Bridge on Saturday, but helped remove the tourists' skipper on 97 off the bowling of Adil Rashid, denying the imperious batsman a 23rd Test century. "Ben's a big-game player and he's worked extremely hard since he's come back to the group, as he always does," Woakes said of his team-mate. "Catching's part of that – he's constantly out there training hard on that. First slip to the spinner is an important position and he made that catch look quite easy even though it came quick. It was a big wicket. "There was no real difference in Ben. He was the same as he always is, desperate to do well and perform for England and he's been great around the group. Today didn't go as well as he would have liked it to have gone, he'd have liked a couple of wickets, but that's the game." Ajinkya Rahane (81) claimed India, put in to bat after England captain Joe Root won the toss, were encouraged to reach 307-6 at the close of play. 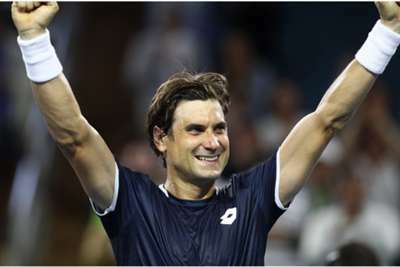 "We thought if we got a good start [the] middle order could capitalise on that and that is what we were doing," he said. "Definitely we were looking to bat, we were positive throughout. It was slightly slow but after lunch I felt it was really good to bat on. "We've got the right balance [in the line-up]. It's about batting well tomorrow morning and taking it on."